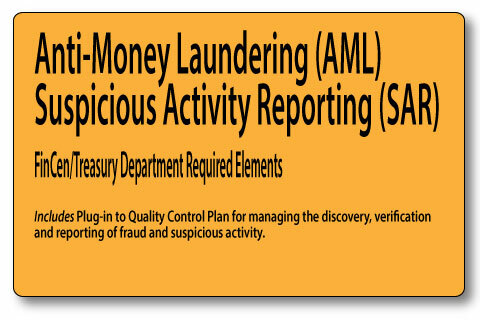 If your company already has an "industry standard red flag fraud prevention plan" in place, you likely meet 95% of the requirements of the Anti-Money Laundering rules promulgated by FinCen. The requirement effective July, 2012 requires many companies not previously required to report suspicious activity, such as fraud or certain cash-related activities, to have a program in place for reporting (SARs Reporting). This plan meets this requirement, but should be incorporated with your company's general fraud prevention program (Red Flags). Here is the FINCEN Rule.